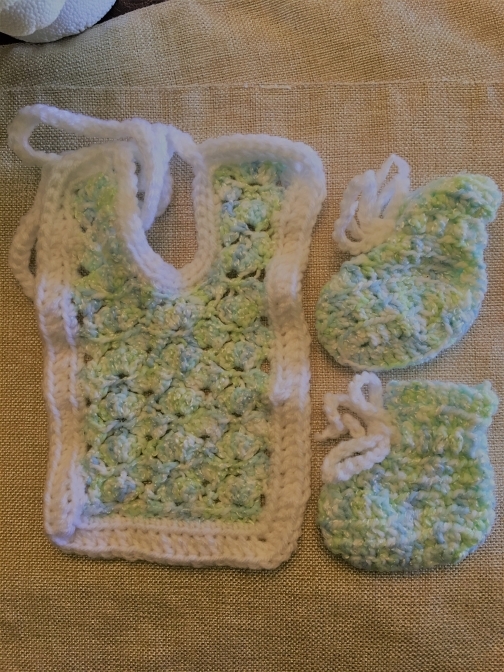 Crocheted light green & blue Baby Bib & Booties with white yarn outline, made with light-weight baby yarn. 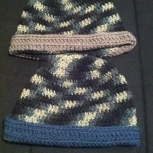 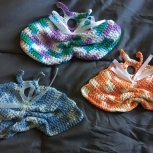 Bib & Booties will fit 0-3 months for boy or girl, and would make a great baby shower or "New Mom" gift. 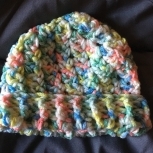 Item was crocheted in a non-smoking environment. 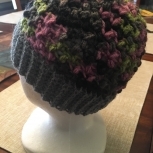 Care instructions: Hand wash or spot wash and lay flat or wash in gentle/delicate cycle. 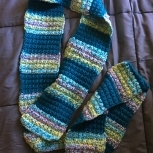 Items might stretch with wear or can be stretched by blocking while wet or after washing.